In May 2003, at the very first hearing of the 9/11 Commission, Kyle Hence and John Judge formed 9/11 CitizensWatch. As a group, they worked alongside the family members that were apart of the 9/11 Family Steering Committee. Early on, the 9/11 Commission was not putting people under oath. To remedy this, 9/11 CitizensWatch ran a campaign to shame the 9/11 Commission into doing so. They also called for the resignation of Philip Zelikow, the Executive Director of the 9/11 Commission, alongside the family members. 9/11 CitizensWatch held a news conference addressing the ongoing September 11 Commission hearings. The group’s mission is to ensure that the interests of victims and the public are protected, and that there is honesty and accountability regarding the 9/11 attacks. Survivors and relatives of some of those killed in the attacks also spoke. Slides were shown during portions of the event. Following prepared remarks, speakers responded to questions from reporters. Following the wrap-up of the National Commission on the September 11 Terrorist Attacks, the 9/11 CitizensWatch held a news conference about the hearings. Officials of the CitizensWatch talked about its watchdog role and insistence on transparency and accountability. There had been concern with conflict of interest. Family members of September 11 attack victims praised the commission’s work, criticized all U.S. intelligence agencies, and answered reporters’ questions. 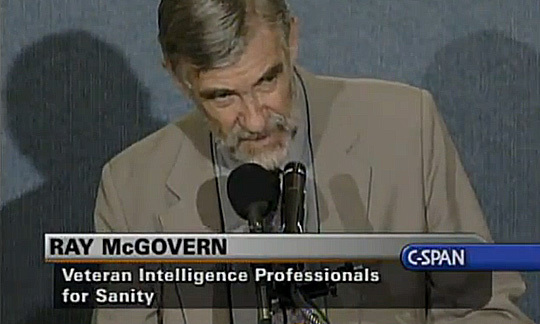 Second half of the June 18th, 2004 9/11 CitizensWatch C-SPAN press conference. The co-founders of the 9/11 CitizensWatch issued a critique of the September 11 Commission’s report released today. The organization monitored the work of the commission and conducted its own parallel investigation, saying that the commission was not independent and that the commission’s investigative standards were too low. Victims’ family members also spoke. After their presentations the participants answered reporters’ questions. Second half of the July 22nd, 2004 9/11 CitizensWatch C-SPAN press conference. Thanks for making this page.